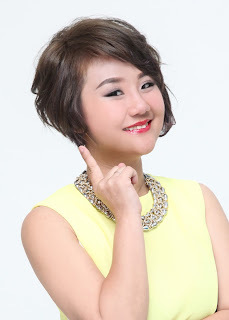 Wendy Pua | Malaysia Chinese Lifestyle Blogger: Exchange Your Mascare to LANCOME ! 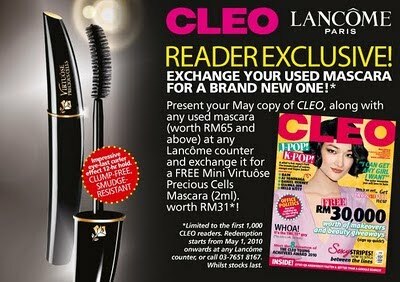 Present your may copy of CLEO, along with any used mascara(worth RM65 & above) at any LANCOME counter and exchange it for a FREE Mini Virtuose Precious Cells Mascara(2ml) worth RM31! P/S: Limited the first 1,000 CLEO reader!